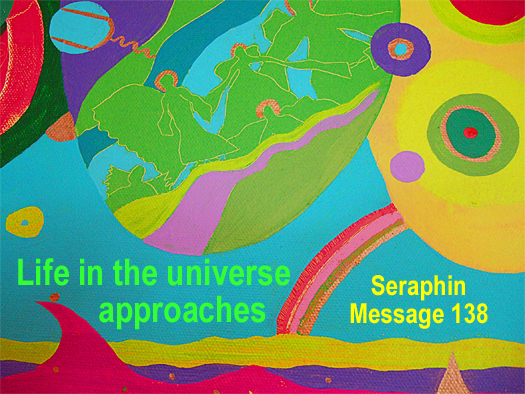 5 minute video of a Seraphin Message from 2013 but which is very relevant NOW. See below for text. Dear Inhabitants of Earth: at this time you are in a film called SEEING IS NOT BELIEVING. When you watch a film, you may experience great depths of emotion due to tragic or ecstatic events, and when the film is over you exit in a state of shock or ecstasy. The illusion is broken, and you are back in expected and familiar parameters, BUT THE EMOTIONS AND THE EXPERIENCE REMAIN. Imagine stepping out of the film called LIFE ON EARTH, taking all your emotional experiences and learning processes with you, and stepping into a reality called LIFE IN THE UNIVERSE. Your first challenge will be to crowd out the “memories” and the “context” and the “matrix” of the film (the constant noise and action, the concepts of right and wrong, the directives, the straightjackets which you thought were clothes, the aggression which you thought was justified, the news you thought was true, the history books you thought were knowledgeable). You will realise that you have been under constant bombardment, that war has been made against you on all fronts, that you have been willing participants or complacent observers of a gross concoction which – so far – has been regarded as “reality”. So now you will emerge into a larger reality which relegates all else into another perspective: what was black may now be white, and vice-versa. What seemed insignificant may now be critical, and vice-versa. What seemed true may now be false, and vice-versa. HOW WILL YOU EMERGE FROM THIS FILM, BELOVEDS? Will you scream and fight to get back into the cinema? Will you curse the filmmakers and those who advertised and financed the film? Will you lynch the man in the box office for selling tickets? Will you apologise to the man you belittled for saying that the film was no good? 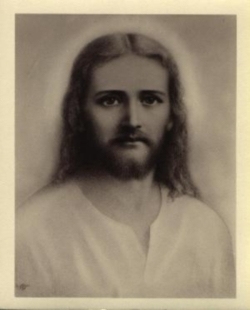 Will you realise that it was YOUR OWN DECISION TO SPEND YOUR EVENING / LIFE / INCARNATION ON THIS EARTH THIS WAY? Will you realise that others chose to spend their evening elsewhere and did not enter the cinema at all? As always, when you find yourself in a state of shock, investigate your own participation. Investigate how it was possible not to see. Ask yourself at what point you allowed events to go ahead which were at odds with SINCERITY, RESPONSIBILITY AND LOVE. So here you stand in shock, realising that this was just a film, reading the credits on the screen. You see who was actually responsible. YOU SEE YOUR OWN NAME as contributor. Will you face your responsibilities now? Will you help to rebuild the new earth? Only if you are capable of recognising and ferreting out the roots of destruction will you be able to reconstruct. We are not into temporary cosmetic repairs. We are into building eternal paradise. Instead of your humdrum existence, you will experience the DEPTHS OF DESPAIR and the HEIGHTS OF JOY. You will laugh and cry and fall into each other’s arms continuously. You will create a new world assiduously until the old film is but a wisp of smoke on the horizon. Thus, out of love, we warn you of the crises and delights to come, Seraphin.